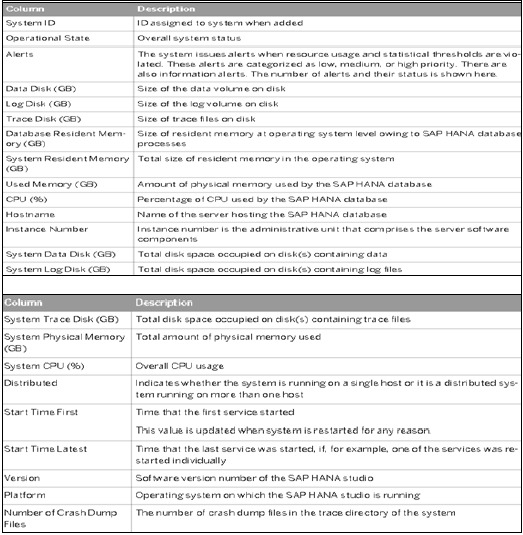 System Monitor in HANA studio provides an overview of all your HANA system at a glance. From System Monitor, you can drill down into details of an individual system in Administration Editor. 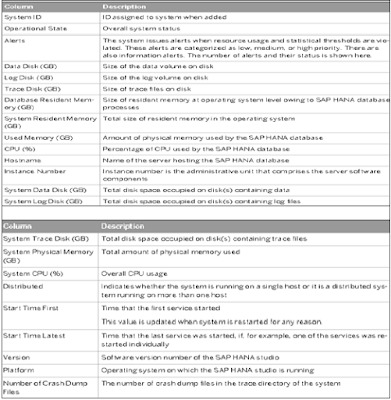 It tells about Data Disk, Log disk, Trace Disk, Alerts on resource usage with priority.